Life is a little chaotic at the moment and thus I am reading but at a slower pace. This time last month for instance I'd read eight books... this month... three... although two of those 'were' quite long books. No matter, it's not a race, but I do need to catch up on a couple of reviews, so here goes. 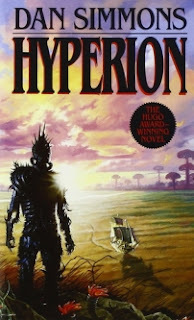 First up, Hyperion by Dan Simmons. This is my 12th. 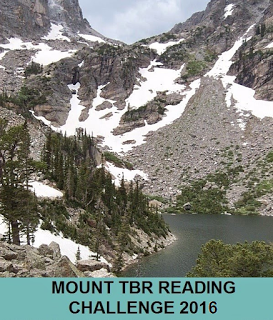 book for Bev's Mount TBR 2016 reading challenge. It's the 29th. century and humans are out in the galaxy, living on new planets, having destroyed Earth. There's a sort of federation of planets known as the Hegemony, led by us. There's a form of interpanetary travel known as farcasting, with portals where you step through onto another planet, but it doesn't cover everywhere so sometimes people go by ship and that thing occurs where your trip might take a few months but back home everyone you know is twenty years older... or dead. There's also something called the Technocore which is run by all the AIs and is very secretive and scheming, they have a lot of power as they control all the computers and so forth. The Hegemony is being attacked by interplanetary barbarians known as the Ousters. Their current target is Hyperion an isolated planet which has been colonised by humans but not terribly successfully. There is something odd about the planet and it involves its religion which is based upon the worship of something called The Shrike. Seven pilgrims are 'invited' (not given much choice in the matter) to travel to The Time Tombs where The Shrike is purported to live... their travels being made much harder by the start of the Ouster war. Each wants something from this being but what? And why have they each been 'invited'? Why them specifically? It's decided that as they travel each will tell their story and try to discover how their various histories may be connected, so that when they get to the tombs they'll be armed with as much information as they can muster. If that sounds like a complicated description then that's because this is quite a complicated book. To be honest, I'm not really sure I understood all of the technical explanations. I even had to go and check some of it with Wiki to make sure I'd got it right. (Don't count on it...) That said, I really did enjoy the book. Basically it's a science fiction version of The Canterbury Tales. There's a Priest's Tale, a Soldier's Tale, a Poet's Tale and so on and so forth. A bit like a series of short stories but with plenty of story inbetween to bind each tale together. I found most of the stories really quite compelling, my favourite being The Priest's Tale which read a bit like a Victorian or Edwardian 'weird tale'. The Scholar's Tale was heartbreaking, it involves his daughter who has had an accident in the Time Tombs and starts to grow younger rather than older. The Soldier's Tale was a trifle too bloodthirsty for my taste but you can't win them all. I found each story interesting and very readable, as is the whole book. It had one drawback for me and I didn't discover it until the end. I thought there would be a proper conclusion to the story and there isn't. It ends as the pilgrims reach the valley where The Time Tombs are and if you want to find out what happens to them you have to buy or borrow the next book. This is probably a spoiler but I think it's only fair to tell anyone wanting to read the book that this is the case... in fact there are, altogether, four books in the series but this first book does not stand alone. Despite that, I found Hyperion to be an excellent read and have reserved the second book, The Fall of Hyperion, from the library. 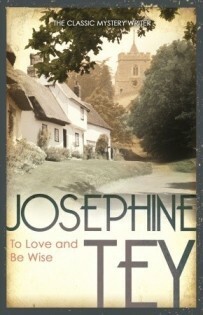 Lastly, a complete change from the above, To Love and Be Wise by Josephine Tey. This is my book 13 for Bev's Mount TBR 2016 reading challenge and my book 6 for her Vintage Mystery Cover Scavenger Hunt challenge, covering the category 'A Building Other Than a House'... in this case a church. The village of Salcott St. Mary is a typical sleepy village in a sleepy part of England. Except that it's not that typical any more as it's been taken over by celebrities who followed an actress friend of Inspector Alan Grant, Marta Hallard, when she moved there. So now the village is full of famous writers, actors and dancers. The tale begins when Alan Grant comes across Leslie Searle at a celebrity party. Searle is a good looking American and an instant hit. He gets himself invited to stay at Lavinia Fitch's large rambling pile, 'Trimmings', in Salcott St. Mary. Lavinia writes hugely popular potboilers. Leslie is driven to Trimmings by Lavinia's niece, Liz. Liz is engaged to Walter, a radio broadcaster, and Lavinia's heir. They all live in the large house along with Liz's mother, Emma, who is Lavinia's sister. Emma dislikes Leslie on sight. He's very handsome and personable, and Emma senses an attraction between Liz and Leslie, which would ruin her engagement to the plodding Walter. Walter and Leslie, who is a famous photographer, decide to do a book together. The book is all about the local river so they decide to travel the length of it in a canoe. But one night after, a public disagreement in a pub, Leslie disappears. It's generally thought that he must've fallen into the river and drowned. But did he fall? Or was he pushed? It's Alan Grant's job to discover the truth. I must admit that I wasn't mad about the first two books in the Alan Grant series. They were fine, but for me, not wonderful. And then I read The Franchise Affair and that book turned me into a real Josephine Tey fan. Miss Pym Disposes reinforced that status (not an Alan Grant book) and To Love and Be Wise put her firmly among my favourite authors. I adored this book. Of course I could have been ready for something like this after two quite long, rambling, involved books... perhaps Josephine Tey's lightness of touch and wonderful way with describing the foibles and eccentricities of her characters was just what I needed. Whatever, I devoured it in two days and loved it to bits. It's quite a complicated list of characters and I did struggle a bit to remember who was related to who and how. But that was made up for the sense of place, a cast of eccentric nutters, and a mystery that kept me guessing to the end. I was genuinely surprised by the outcome... a real 'Oh!' moment. Very clever. My next Josephine Tey will be The Daughter of Time and I can't wait to read it. Except that there are not many left after that and I don't want to be in a position where I have none of her books left to read. I'm the same with Dorothy L. Sayers. Some of the best authors were not very prolific it seems. It's hard to believe that May is nearly here. It will be another chaotic month for me. We're having the roof replaced at the moment and then my husband goes into hospital for a knee replacement operation. I don't think I'll be blogging very much but should be around occasionally. My first book for Carl's Once Upon a Time X challenge is The Kingdom Beyond the Waves by Stephen Hunt. As I've had it on my Kindle for several years, it also qualifies as my book eleven for Bev's Mount TBR 2016. In this steam-punk fantasy yarn the lost city of Camlantis is the obsession of archaeologist, Professor Amelia Harsh. The legend is that it had a Utopian society and she wants to learn its secrets to make present day society a better place. It's rumoured that the city - if it existed - is floating around in the sky, too high to be accessible, but that some of it is buried in a lake. Unfortunately this lake is in a wild and inhospitable 'jungle' area of the planet (think 'The Amazon'), called Liongeli, and inhabited by various unfriendly races who do not like strangers traversing their land. Amelia can't get official funding to mount an expedition, so when wealthy industrialist and politician, Abraham Quest, offers to fund one, she jumps at the chance even though she hates the man and suspects his motives. Going with Amelia is Jared Black, an elderly adventurer, who doesn't want to go but is cajoled into it when Quest produces Jared's beloved once wrecked U-boat from the depths of the ocean, newly refurbished. Also accompanying them is a motley band of individuals from different races, with various skills. Quest has also supplied protection in the form of a small regiment of Amazonian type female warriors. Amelia is now wondering what on earth she's got herself into. But never mind, she's going to find Camlantis... that will make it all worth it. Won't it? This is book two of Stephen Hunt's 'Jackelian' series, I read book one, The Court of the Air in 2011... my review of that book is here. 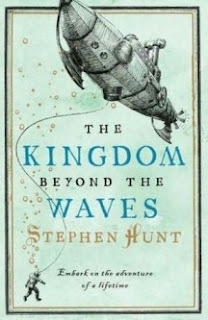 Rereading it I can see that I more or less felt exactly the same about that book as I feel about The Kingdon Beyond the Waves. I think the term 'Never use one word when fifteen will do' applies to the writing in these books. Reading them can be a confusing experience and I'm not at all sure whether it's me or not. The books are chock full of ideas, some of them just mentioned in passing, often for no reason and it's like a kind of over-load of information really. And I lost count of the times when I would read a passage, do a mental 'Eh? ', and have to reread it to get the gist. It's quite possible I'm not mentally agile enough for this series, let's face it they're probably not aimed at 62 year old grandmothers with strange tastes in books, but I can't help but feel it is a bit of drawback to write like that. And yet... I kept reading. Because, as with that first book, the world building is amazing. I think, but am not sure, that it's a dystopian series set thousands of years in our future. There are hints. And the world the author has created is a fascinating one inhabited by many races including sentient machines called 'steammen', shape shifters, Amazonian warriors, mysterious spies from The Court of the Air and so on and so on... really it is quite amazing. And the story itself is a cracking adventure yarn... there's no lack of action as the motley band make their way through the jungle, not only fighting some very strange beings but a saboteur among their own ranks. I liked too the fact that the author has made this a story where both male and female characters take equal part in the action, he's to be applauded for that in my opinion. Even though those women for some reason all had to be muscle-bound fighters (even Amelia) he 'tried' and I appreciate that. 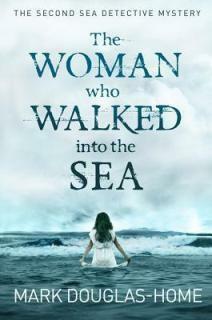 I think I can say that I enjoyed the book but it was hard going. I don't honestly know whether I'll read any more in the series, maybe, maybe not. We'll see. 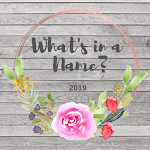 The first three momths of the year have come and gone - shockingly - so it's time for the first checkpoint post for Bev's Mount TBR 2016. In the first three months of the challenge I've read 10 books. That's four ahead of where I should be so I'm very happy with that. It's possible I might make it to the level after Mont Blanc, which is Mount Vancouver, but I'm not putting pressure on myself to do so. If I do, I do, if I don't... no problem. Secondly, Bev wants us to answer as many of her questions here as we fancy. 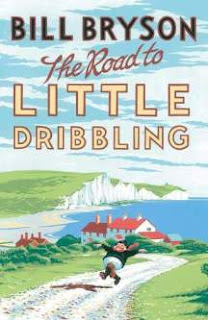 The cover of The Road to Little Dribbling by Bill Bryson, mixing railway poster scenes of The White Cliffs of Dover and the little running man from the iconic 'Skegness is so bracing' poster, is inspired in my opinion. The perfect cover for this book and I love it. The Franchise Affair by Josephine Tay surprised me. I wasn't very inspired by the cover to be honest, thought the book might be a bit dull. Wrong. It was a perfect little gem and I loved it from start to finish. It will definitely make my top five this year. I'm rather behind with stuff at the moment. Easter was busy and the grandchildren have been visiting all week... it's all been lovely but means I haven't been able to keep up with the blogs I usually read on a daily basis. For that I apologise and hope to catch up but next week is going to be fairly busy as well... minding our grandson for most of the week and various apts. 18. Sightlines - Kathleen Jamie. A sequel to Findings, which I thought was magical. Sadly I didn't find Sightlines to be quite as magical but I enjoyed it nevertheless. Possibly I read it too soon after Findings and found it a bit too similar. 20. The Bookshop Book - Jen Campbell. 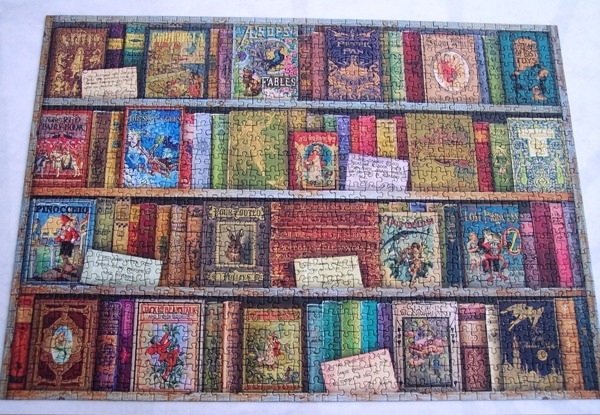 This one is all about bookshops both here in the UK and around the world. A lot of UK bookshops here, so especially useful for Brits or any bookish people coming to the UK. Enjoyed this very much. 21. The Double Comfort Safari Club - Alexander McCall Smith. Book three hundred and forty... er... I mean 'eleven' of the No. 1 Ladies' Detective Agancy series. Mma Ramotswe and Mma Makutsi go off to a safari club to find someone who has inherited some money. Well they do eventually. There's a fair bit of philosophying going on before that and more troubles for Mma Makutsi with her fiancé. All very samey but I enjoyed it nevertheless. These are undemanding, comfort type reads. As will be seen, I didn't manage to review every book I read in March. Pressure of time prevented it so I've just said a little about those that weren't reviewed. I'm pleased that I managed to read three non-fiction books last month upping my total this year to five which is about a quarter of the books I've read so far this year. Super, *super* book. Loved it to bits. It's unlikely that I'll read as many as nine books in April. I've just started Gerald Durrell's biography by Douglas Botting and it's 600 pages long... plus another long one on my Kindle. No matter, enjoying books is the objective... 'how many' is interesting but not a priority.